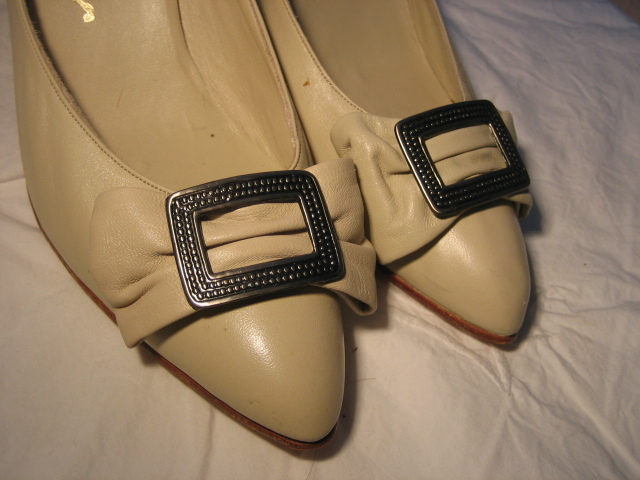 1970s vintage seriously soft cream buckled shoes . 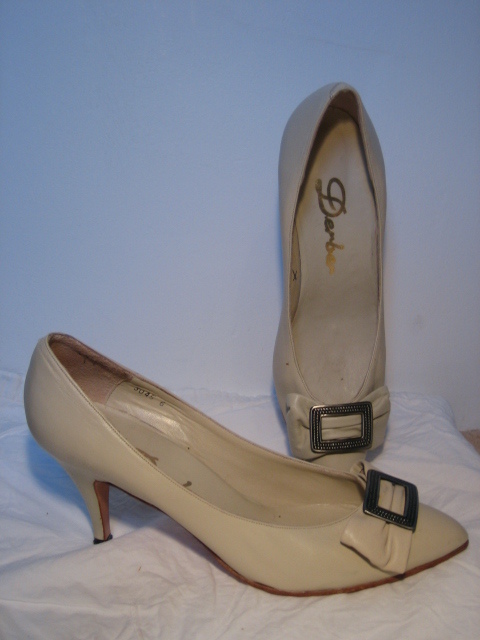 These are really gorgeous, soft cream leather shoes in the style of the fifties, with smart buckle detail and a narrow heel. 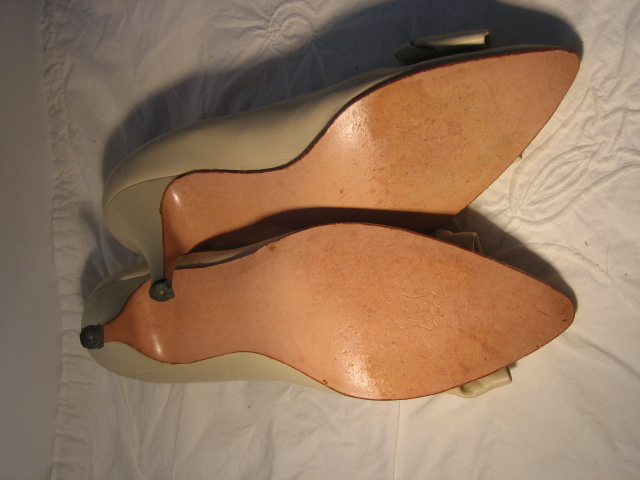 They have been scarcely, if ever worn, and are in all-round excellent condition; approx size 5 ½. 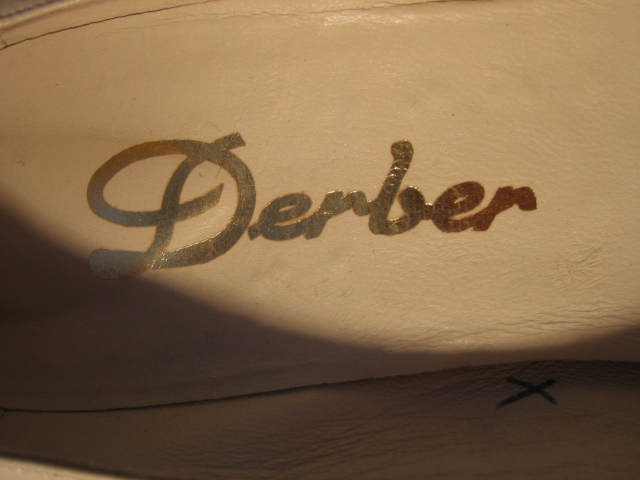 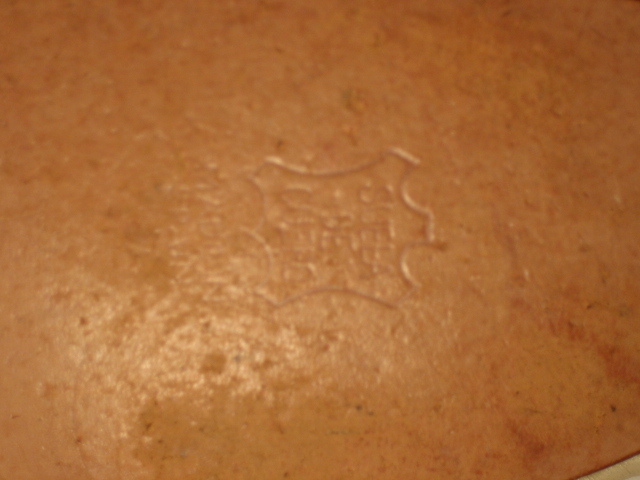 The date of 1970s is given as an approximation: Derbers don't exist any more, and I know very little about them, except that they made beautiful, classic shoes - you can see the quality of the leather even in the photographs. 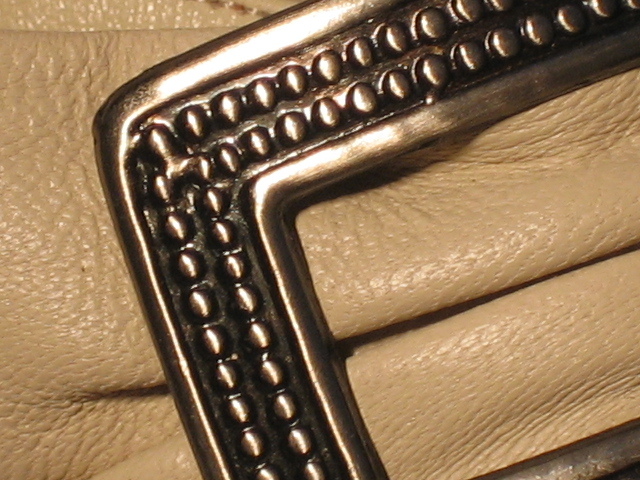 So I make no apology for the price of these - I just wish they were a little bigger! 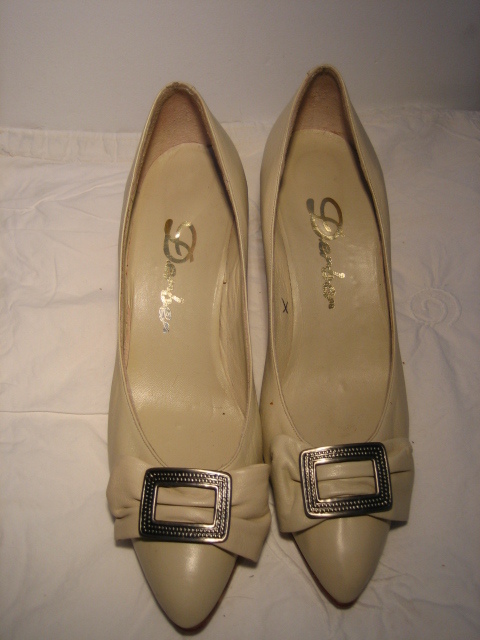 Approximate measurements are: length of inner sole: 10 inches/25.5 cms; width of sole: just under 3 inches/7.25 cms; height of heel: 2 ¾ inches/7 cms.